Vintage is in these days. But not just with clothes or home decorations. 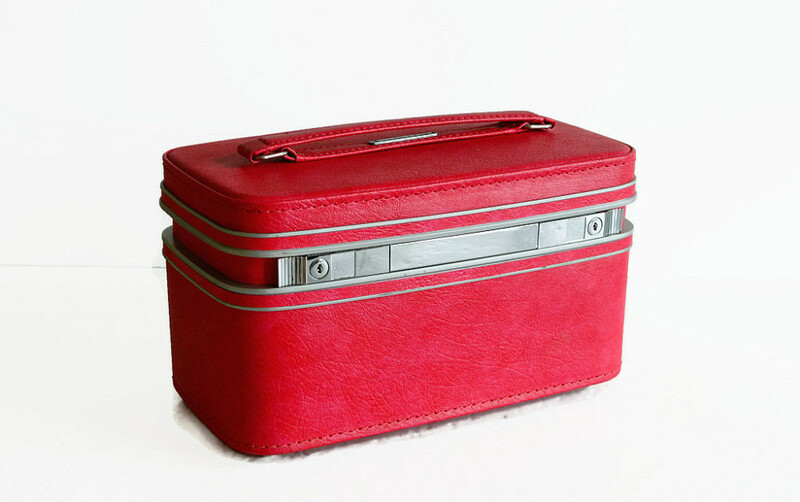 Vintage luggage is a great way to add personal style to your travels and while also gaining the practical benefit of standing out from the crowd on the checked baggage conveyor belt. 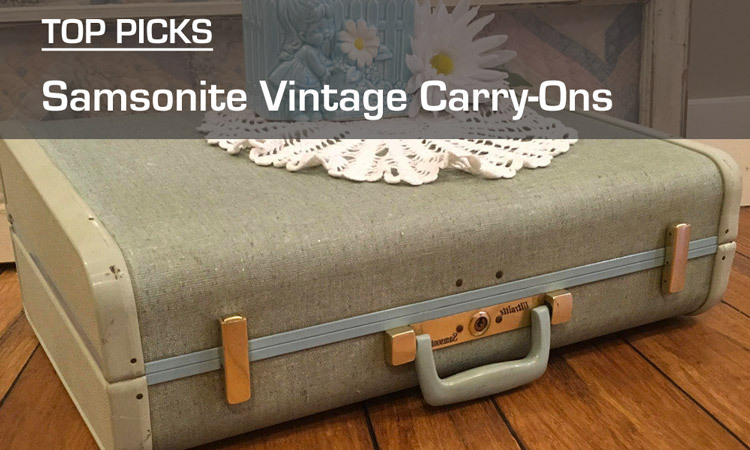 Samsonite is one of the best brands to consider when looking for vintage carry-on luggage. 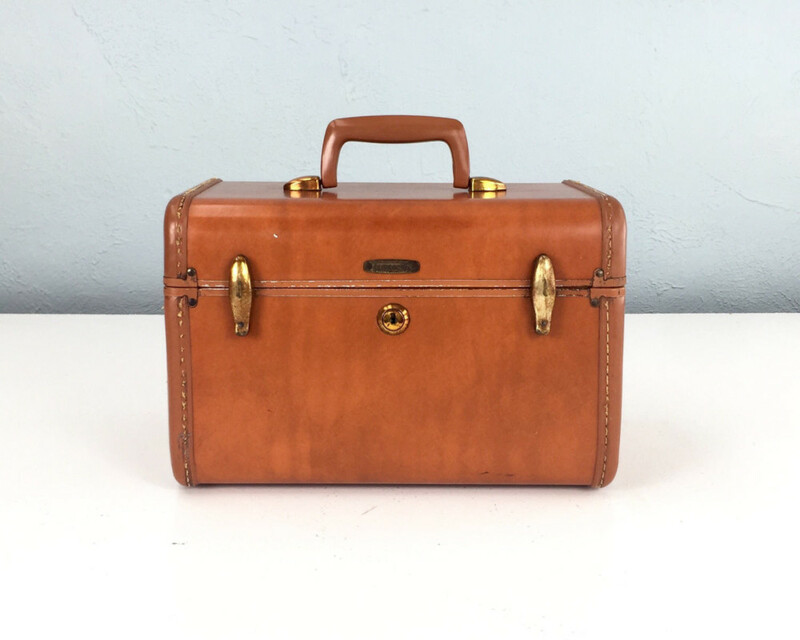 Not only have they been around long enough to have vintage models, but their durable designs ensure that even decades later the luggage is in excellent condition. Vintage can be hard to find online. 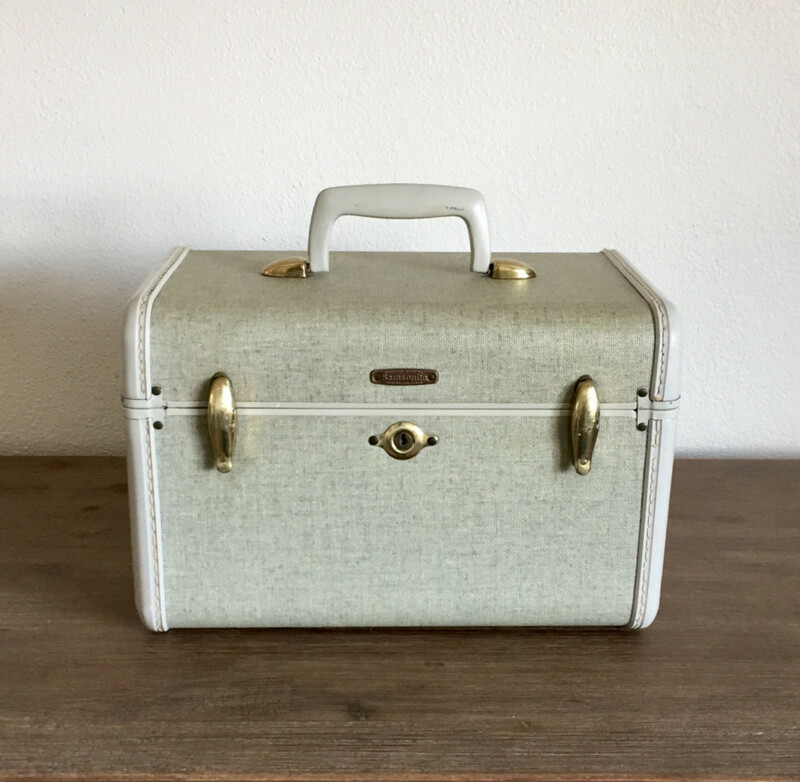 So I have compiled a list of the 10 Samsonite Vintage Carry-On Luggage to help you find the perfect travel companion. 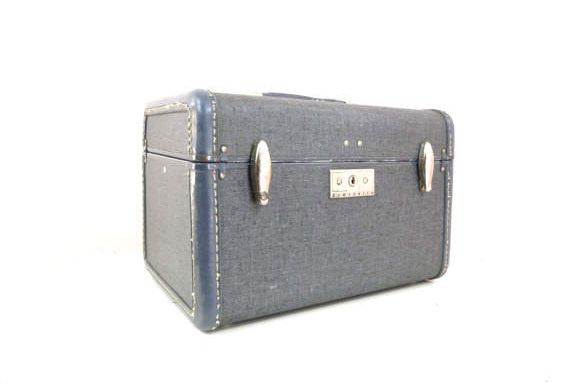 Also I did a list of the top 9 regular-sized vintage luggage from Samsonite. 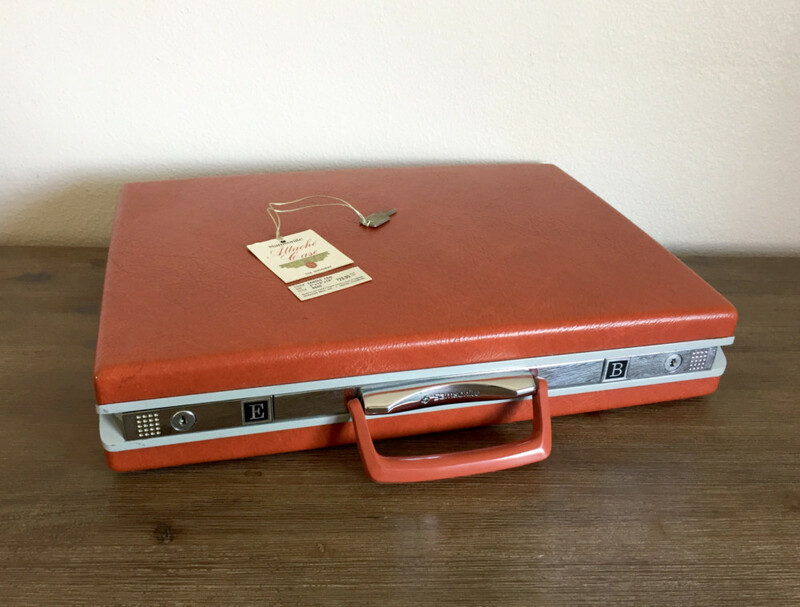 This vintage Samsonite goes back to the 1960’s Pan Am era. It’s a Biscayne Blue and amazingly has never been used. The case measures 15.5″ by 12″ by 5.5″ so you should have no problem bringing it as a carry-on. 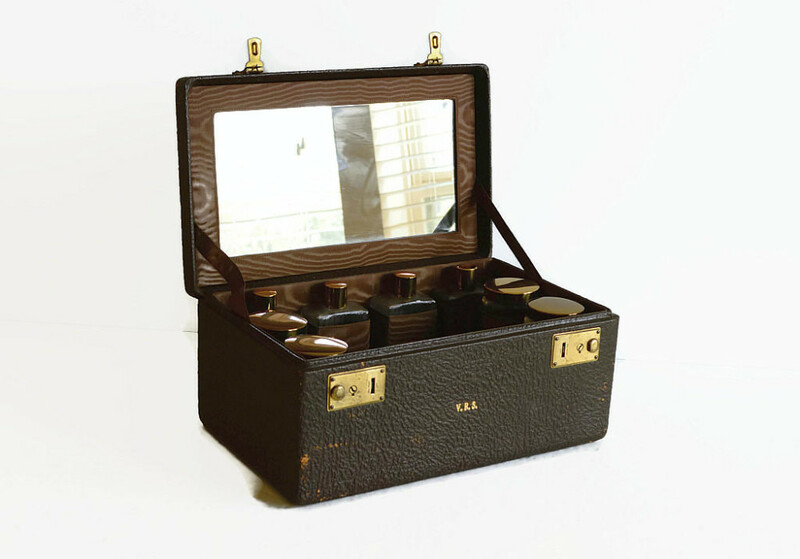 The dedicated holders for a brush, mirror, and toiletries makes me wonder why there are not modern suitcases that have this feature! Tweed really has made a come back in recent years. You see it with shoes, bags, and other accessories. Grey tweed patterns are even more popular, combining the popular greys that we see today with texture. The silver hardware also adds a more modern twist to this vintage piece, as silver is usually favored over gold-colored metal today. One of the great things about this Samsonite carry-on is that tweed fabrics are unisex. So it can work for a variety of people. Hat boxes are good for more than just hats. They also make great carry-on luggage or even decorative storage bins at home! 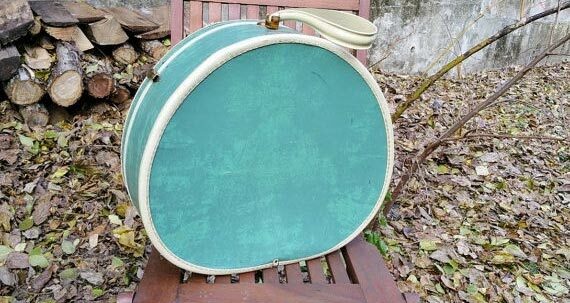 I absolutely love the marbled green texture this vintage Samsonite has. The metal pieces add all that more of a rustic, vintage flair. This throwback goes waaaay back. All the way back to the 1930s. The vintage texture is beautiful and works perfectly as the antique showcase in a room, perhaps to hold some precious antiques of yours. Suitcases like this are so versatile. It works perfectly as a travel case, whether by car or a carry-on. But it works equally as well as a vintage storage container. The distressed brown leather look goes for quite a price these days. Buying a 50+ year old Samsonite gets the same look at a cheaper price. And with a cool story behind it! Ok. So this case is not what you would really consider a carry-on or even for travel suitcase. 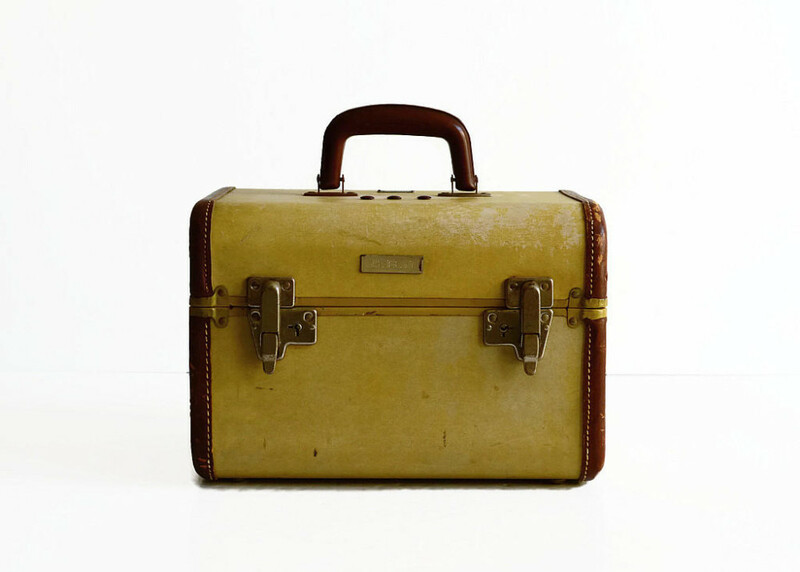 Going back to the 1940s, this Samsonite leather case is so rustic and charming. Since it includes the original glass jars, I would set this piece aside as a decorative antique. It would add great depth and textured variety to a room. Of course we can’t overlook some briefcases as a carry-on option, especially for the business men out there. The Samsonite Diplomat attache is a sophisticated vintage briefcase option. It’s a nice saddle tan color with modern looking chrome trim. 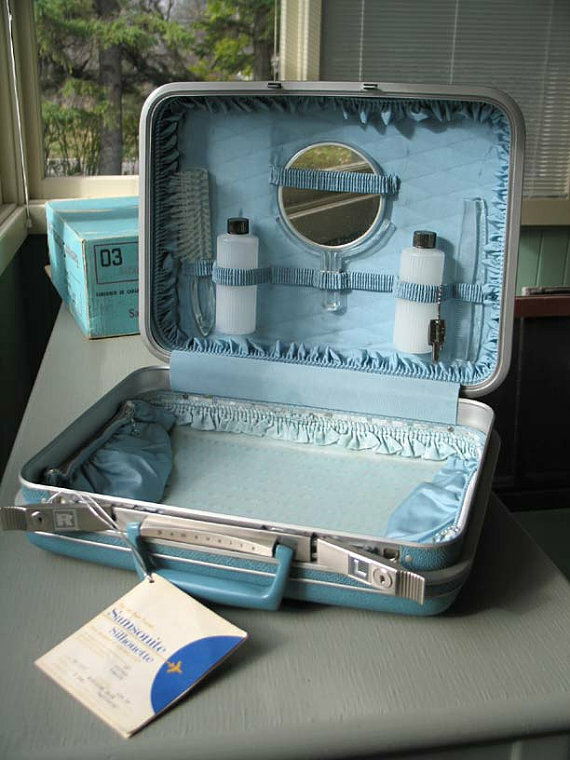 The Train Case style suitcase was exceptionally common 50+ years ago. It still works well today as a carry-on or for light travel. The light grey exterior matches well with the modern subtle style of today with a vintage flairfrom the metal hardware. So this isn’t exactly a vintage piece, as it is modified (modded). But I think it is a fantastic idea, to take retro luggage and mod it. 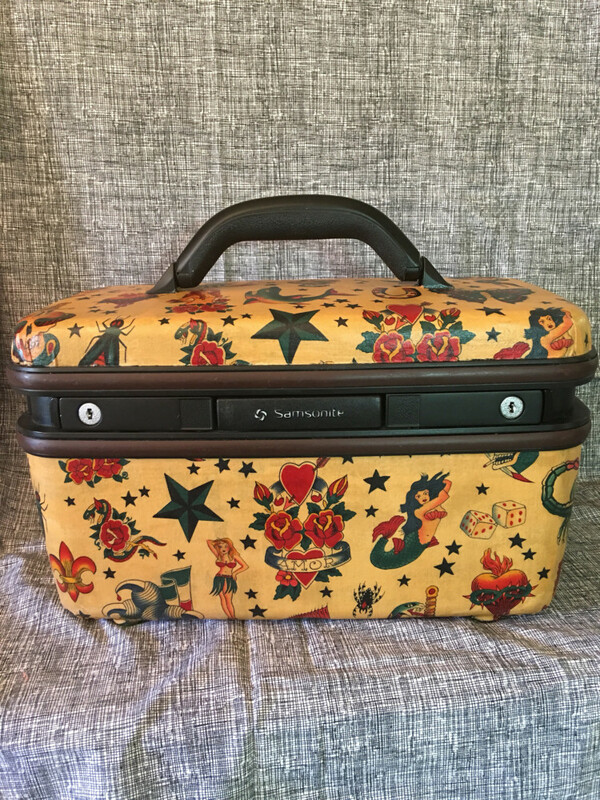 Not only does it make it unique, the vintage luggage will last longer with a more durable and fresh exterior wrap.